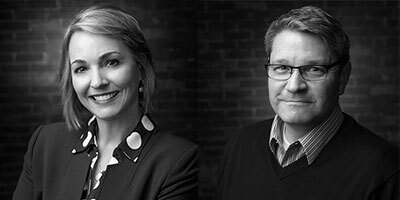 Spokane ad agency Quinn Group, operated by Bonnie Quinn Clausen, is changing their name and adding a new dimension...they're dropping Group and will now be known simply as Quinn. 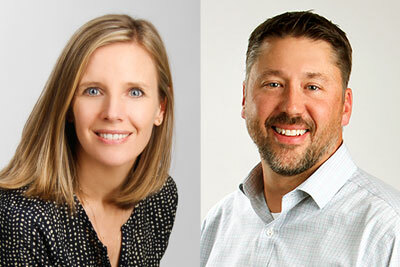 And Bonnie's brother Jerry, who was a driving force behind San Francisco's first all-digital agency in the early nineties, has moved back Spokane and is joining the firm to integrate traditional media with digital media. They are also adding full audio and video production capability. 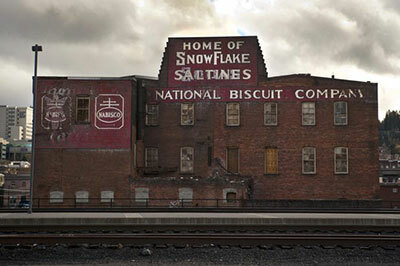 The agency was founded by their father Gerald Quinn and the late Donna Lipe in the late 60s. The new website is quinn.agency. Spokane House Hotel now Red Lion Inn and Suites Spokane to open in June. The former Spokane House Hotel atop Sunset Hill is back and has undergone a multimillion dollar renovation and will open this June as Red Lion Inn and Suites Spokane. The hotel, which opened originally in 1953 as the Desert Caravan Inn, was once one of the '10 Best Motels in America.' The Red Lion Inn and Suites Spokane will have 89 updated rooms, a fitness center and business center. Baker Construction & Development Inc, is the contractor for a nearly $1 million, 10,000-square-foot multi-tenant building at 9405 N. Newport Highway (at Holland) which will house a Mod Pizza, a Wells Fargo Bank branch and Aspen Dental. The project is expected to be finished in September. Sola Salon, has leased 6,600-square-feet in Manito Shopping Center for their second area location; they also have a salon in Coeur d'Alene's Riverstone. 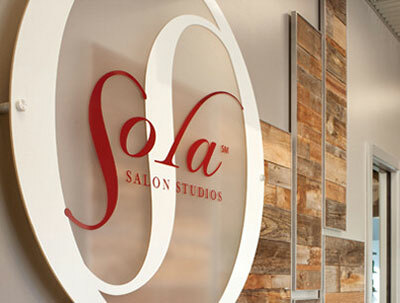 Sola Salon is the largest, fastest-growing salon studio business in the country with more than 250 locations open nationwide. To celebrate their 40th (Ruby) Anniversary, the grand prize, valued at over $4,000, is a beautiful diamond ruby necklace from Clark's Diamond Jewelers, and attendees will have other chances to win more great prizes, from a Free Pizza Pipeline slice to a $50 Numerica Credit Union gift card. Guests can also enter to win a walk-in Greenhouse, courtesy of Ziggy's. See more at: www.spokanehomeshows.com or find them on Facebook. Chefs Week PNW runs runs Wednesday, March 30 through Saturday, April 2. This is a unique event and is sure to have something for everyone, great food, a craft beer day, local distillery day, wine tasting day, homebrew competition, a coffee roasting demonstration, wine pairings and collaboration dinners and much, much more. For the finale, 15 chefs will work together to prepare an 8-course meal. Teresa Dugger, PE, of GeoEngineers' Spokane office has been promoted to Associate Geotechnical Engineer. She continues to manage the geotechnical engineering group in the West Business Unit, including Spokane, Boise, Pendleton and Portland offices. She was previously a senior geotechnical engineer. Dustin Wasley, PE, of GeoEngineers' Spokane office has been promoted to West Business Unit Leader, overseeing operations of Spokane, Boise, Pendleton and Portland offices. He also remains a principal environmental engineer for the firm. Greater Spokane Incorporated (GSI) will honor the 60th Anniversary of the Armed Forces Persons of the Year at a special event April 8. Let Freedom Ring celebrates our nation's military through a special awards program that honors local active duty, guard and reserve members of the armed forces. This is our community's opportunity to thank the men and women who serve and protect our freedoms. Let Freedom Ring will be held on Friday, April 8 at Red Lion Hotel at the Park. Networking begins at 7am and the program and breakfast start at 7:30. Pre-registration is required. For members, cost is $25, for non-members, $40. Special military pricing available. Online registration ends April 7. To register, visit GreaterSpokane.org/Events. Wolffy's Hamburgers, an institution at Hamilton and Sharp in the Gonzaga neighborhood for many years, is branching out. They're opening a restaurant in Airway Heights in the former Taco Time location. It will be the same style as the GU Wolffys, 1950s diner design, serving breakfasts, burgers, fries, shakes and other great menu items. The new location should be open this summer. 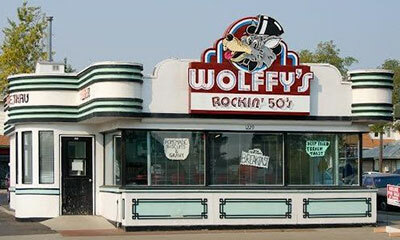 You can check out Wolffy's menu at wolffyshamburgers.com. More than a hundred gathered for a celebration of Spokane's military community during an event hosted by Employer Support of the Guard and Reserve (ESGR) and Comcast NBCUniversal. Executives and employees from Comcast, along with elected officials, military leaders and ESGR volunteers, presented a united effort to highlight and support veterans, reservists and military families. Comcast is hiring 750 new employees in the Spokane area and they realize the benefit of hiring veterans. Comcast recently hired retired Brigadier General Carol Eggert to head this effort. To conclude the event, Comcast's Regional Senior Vice President, Kyle McSlarrow signed an ESGR Statement of Support, pledging Comcast's commitment to recognize and support service members and their families. ESGR is an agency with the Department of Defense. For more information about ESGR Outreach Programs, or ESGR volunteer opportunities, call 800-336-4590 or visit www.ESGR.mil. Community Colleges of Spokane's marketing department captured a 2015 Paragon Award from the National Council for Marketing & Public Relations. NCMPR presented the awards March 13 during its three-day national conference in St. Louis. CCS won a bronze award in the folder category for its international programs folder. NCMPR presented gold, silver and bronze awards in 53 categories at the Paragon Awards dinner and ceremony. Some 236 colleges submitted a total of 1,773 entries to the contest. NCMPR annually presents Paragon Awards to recognize outstanding achievement in communication at community and technical colleges. It's the only national competition of its kind that honors excellence exclusively among marketing and PR professionals at two-year community and technical colleges. More than 90 marketing and PR professionals from around the country donated their time to review and score this year's Paragon entries. NCMPR supports the professional development of community college communicators, serving more than 1,700 members from more than 550 colleges across the United States and Canada. It is one of the largest affiliates of the American Association of Community Colleges.